If you’ve been to US or at least watched English action movies you will be familiar with while coloured police cars belonging to NYPD (New York Police Department) or LAPD: Los Angeles Police Department. Ever did dream Indian police would be like that? For the first time, it has happened. Indian police forces are habituated to Mahindra Jeep, the ever sturdy and robust off road vehicle from Mahindra & Mahindra. They’re good, reliable but weren’t meant for speed. Of late police forces are being equipped with modern vehicles, at least Tata Sumo and Toyota Qualis, cutting heavily into M&M’s market share in this segment. But the concept of using a luxury car as a police patrol vehicle is very new for us. All fine. Why am I telling all these? 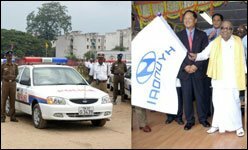 Few days ago Korean auto giant Hyundai gifted Chennai Police with 100 Accent cars. 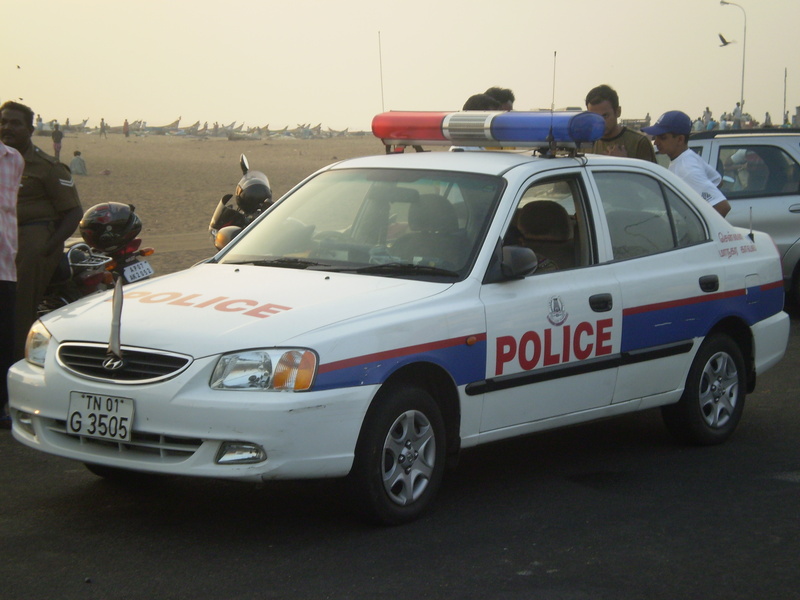 For the first time ever in India, our police forces would be patrolling around in a well equipped and high speed car. That’s a good change. I saw this news on CNN-IBN few days ago and wanted to write about it. Was looking for a good photo on this and while searching found that another Channai based blogger has already written about it. While Chennai Police have got a chance to compare themselves with NYPD, what remains to be seen is will they pickup the skills and efficiency (not that they’re inefficient) of US police departments as well when it comes to reinforcing law and order. Next time you break the law and choose to speed away, be aware. 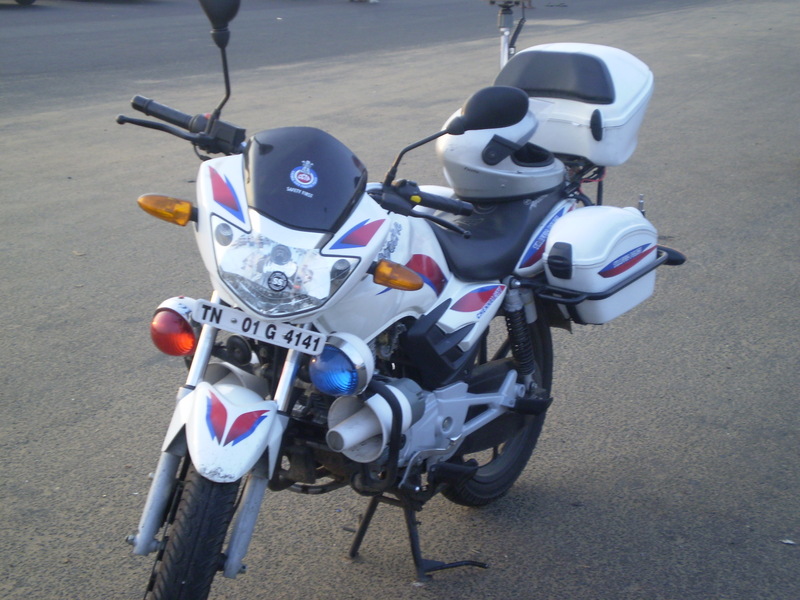 CCPD (Chennai City Police Department) may choose to give you a chase rather than watching helplessly. While Hyundai’s Corporate Social Responsibility is appreciated, I expect this gives them enough publicity to reverse the falling sales of Accent, which is off late loosing its market share to Ford Fiesta and Chevy Aveo. The first photo used here is taken from the blog of லோகேஷ் தமிழ்செல்வன். த (Logesh TamilSelvan. D). Second and third photos by author. Are our traffic police so helpless? Good to see the change here in India with those vehicles. Good that you have also mentioned the possible motive behind this move. This is a very good initiative.Atleast now cops can't complain that thieves have more faster cars than them.I have some more updates for car lovers of India. Maruti Suzuki is India's largest car maker company and this company provides many car which are known for low maintenance and high performance.Maruti continues it's tradition by launching new MPV Maruti Ertiga,Which is fabulous in style, has impressive mileage and amazing power.Everyone will love it. Maruti Ertiga was recently unveiled by Maruti Suzuki India at the 11th Auto Expo and now this largest carmaker of the country is all geared up for the launch on 12th April 2012 in New Delhi.Maruti Ertiga price is in bracket of Rs. 7- Rs 9 lakh and is said to be competing neck-to-neck with the segment best selling cars Toyota Innova and Mahindra Xylo.